with Upper Hand’s robust operations suite. 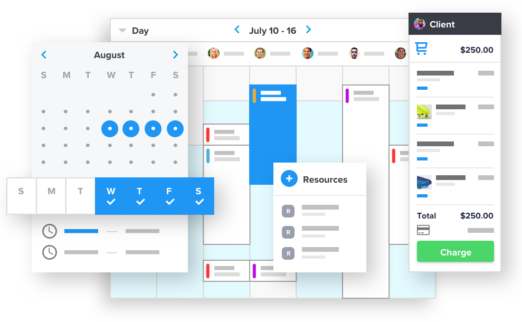 We understand that you spend a majority of your time managing your sports and fitness business from the schedule planner online, so we’ve created a calendar to streamline that process . With our facility management software’s OPTX Calendar, no more refreshing pages, switching views or toggling to calculate availability. We put everything you need right where you need it. The Upper Hand resource and facility management software is the first of it’s kind to combine availability across staff, events, and resources into one easy-to-view screen with smart automation to maximize the use for one of your most expensive investments: facility resources. Finally take control of the most important aspect of your business with Upper Hand’s Financial Suite. One place for financial intelligence, reporting, payment processing and the best rates in the industry. Leave the registration fees and hidden costs behind you. Get transparency and start growing your sports and fitness business today. Now with Upper Hand Retail there are no more roundabouts to deliver custom apparel, equipment, and gear to your clients. Upper Hand fitness and sports software puts retail in the hands of your customers to deliver one seamless shopping experience. Oh and if you need inventory, Upper Hand can handle that too.